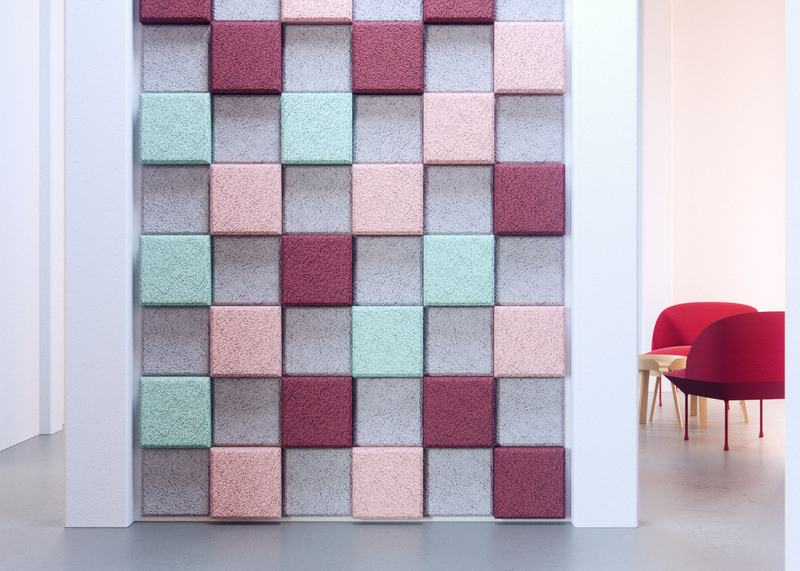 Stockholm studio Form Us With Love has added a collection of colourful square sound-absorbing tiles to its Baux range of architectural products (+ slideshow). 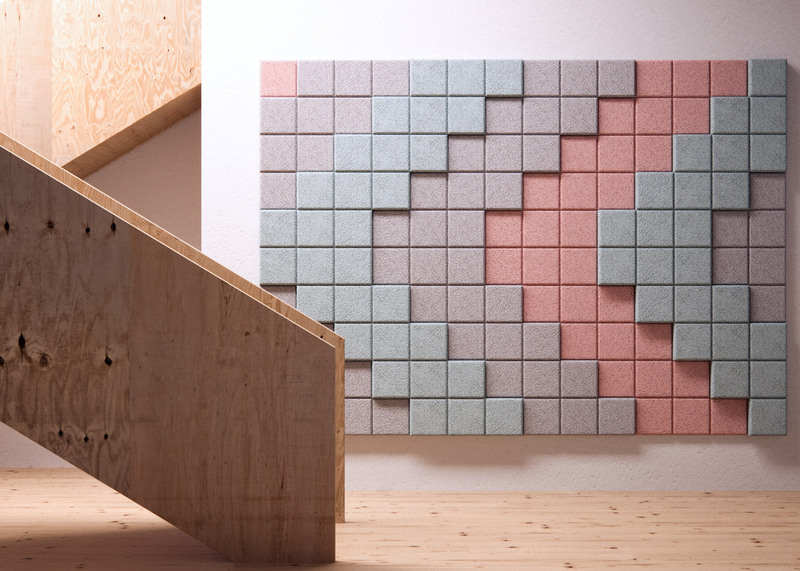 The 3D Pixel panels come in a range of muted pastel colours, and can be layered to create different levels. The tiles are made from wood wool – created from a mixture of spruce wood shavings, water and cement. The studio collaborated with Swedish musician Daniel Wallberg, aka Smutskatt, and artist Andreas Lübeck to create an accompanying animated film that demonstrates how the various colours can be combined to form patterns. 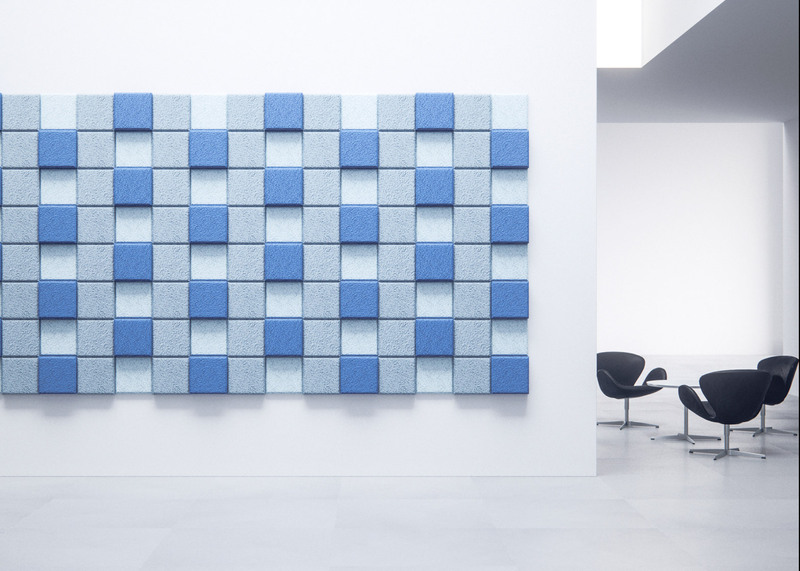 "Acoustic panels are foremost used to improve sound quality but we felt that most of our audience wanted a more expressive tool," said co-founder Jonas Petterson. 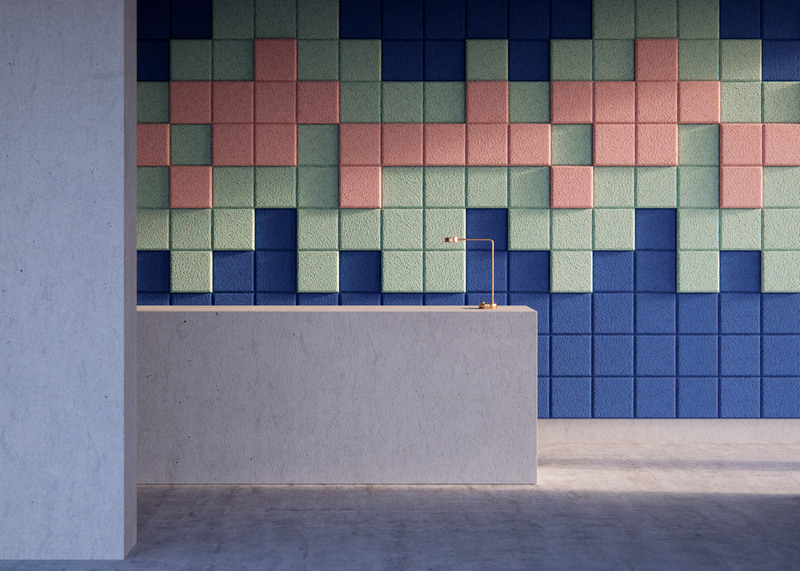 "Baux tiles, panels and pixels fill a different type of design gap, a way where architects and interior designers can be more involved. Form Us With Love launched Baux in 2014, with the aim of taking conventional architectural products and making them more visually appealing. Materials that would usually be concealed, such as sound and heat insulation, could then be installed as a design feature. 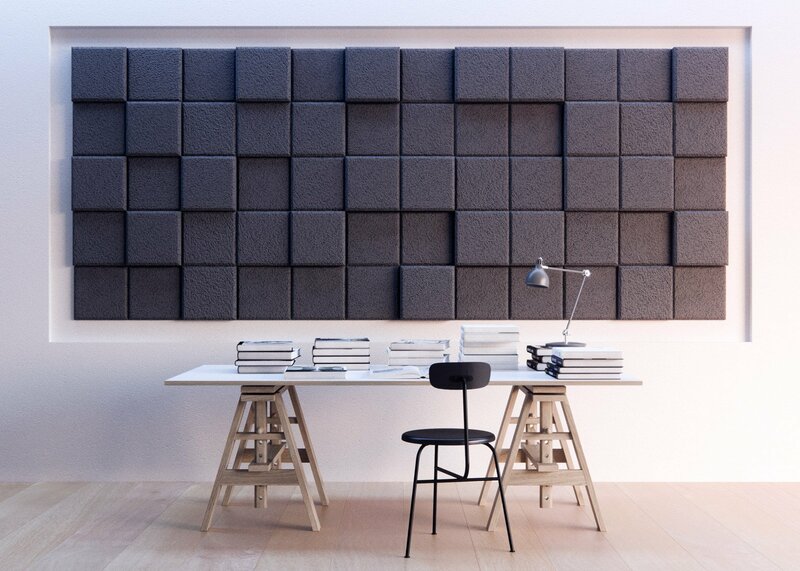 Earlier this year the studio launched its first collection of large acoustic panels at Stockholm Design Week 2015, but has designed the 3D Pixel range to offer the opportunity to create more intricate patterns. "We are in an era of contemplation and we all agreed that it is time to not dismiss things that work, but actually change them for the better," added co-founder John Löfgren. "The functionality of sound absorbing is great but usually pretty dull," he added. "There is something about seeing all these Baux patterns being born, it is organised very neatly and become beautiful individual installations, reflecting on the time we live in." Form Us With Love has also designed retail interiors, plastic seating for Ikea, and a range of spun metal lighting.